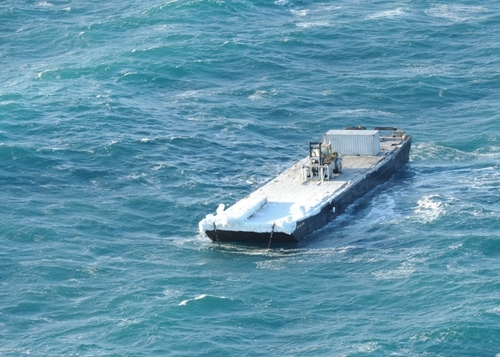 The 143-foot barge Brittney Moe went adrift after loosing her towline southwest of Kodiak Island, Alaska. The tug Seahawk had lost the barge after it had partially lost steering and the barge broke away. The conditions were rough with 45-55 mph winds and 12 foot seas. The Brittney Moe was loaded with a forklift, conex box and tools aboard. The Coast Guard helicopter spotted the barge and has relayed its location. The barge is no danager of running aground and arrangements have been made to recover it. 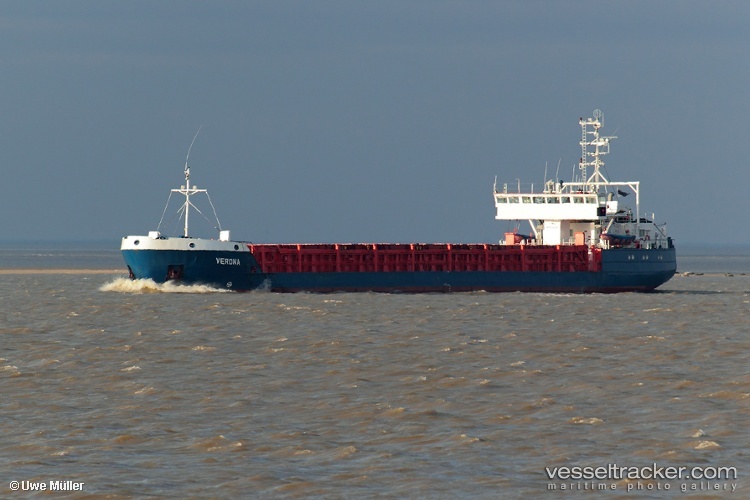 The 2735 dwt freighter Verona went aground while moored in the port of Rostock, Germany. Strong winds had blown the vessel into shallower waters. A tug was able to pull free the vessel and it now moored safely in basin B of the port. No reports of damage or any pollution being released. 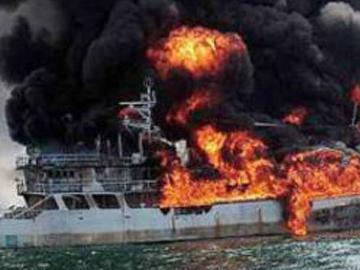 The 1392 dwt crane vessel Shirvan caught fire after an explosion in it’s forepeak while at anchor in Baku Bay, Azerbaijan. Five workers were injured and 1 perished in hospital. The fire was put out, but no reports to the extent of the damage to the Shirvan. The cause of the explosion was to improper safety while welding.